If you own a dairy farm, you probably know the amount of hard work that goes into tackling your herd and at the same time, keep a check on their health. Herd management is essentially important especially if it is your primary source of income. Owning a dairy farm is not an easy task. You probably spend hours and dedicate nearly all your time on the farm looking after your herd, feeding the cows with vital nutrients, milking their milk, detecting when they are in heat, and putting them on medication in case they have caught some disease. But how nice and easy it would be if you can still do this by not necessarily being on the farm? Or more precisely, monitor your herd’s activities using an app that receives notifications to alert you about their movement, when they are in heat or when they need your attention while they’ve fallen sick. The contemporary techniques of farming have made it easy to efficiently manage your herd using ultra-modern technology that are rather reliable and accurate than the traditional practices of dairy farming. Earlier, there were chances you could miss out when your cow has come into heat and again wait for 21 days to detect one. This resulted in delayed pregnancy cycle of your cow and losing opportunities to increase your herd size causing a decline in the overall farm output and profit. Every cow has distinct needs and requires individual attention which ought to be fulfilled at a proper time regardless of you being on or off from the farm. And to your rescue, there are many avant-garde techniques available today that allow you to efficiently manage your herd, track their movements, and take corrective actions at just the appropriate times; all leading to a doubled farm output! Many companies have acquired the idea of connected cows and blend it with the concept of Internet of Things (IoT). The goal is to design cow wearable that would let you monitor your cows using an app in your hand which refurbishes the notion of on-premise dairy farming. These cow wearables are available in forms like necklace tags or pedometers that come with motion sensors and microphone. These sensors monitor herd activity and rumination levels. An application is connected with the sensors that can work both on-site and in the cloud. The system alerts the user on any suspicious, increased activity which often means the cow is either in heat or health problem. Also, there is a smart pill that remains in the cow’s belly for a lifetime which measures core temperature, respiration and heart rate, stomach-contraction rate, rumination level, and so forth. The system collects data from the sensors and wirelessly transmits the data to mobile application giving dairy farmers access to the data on cows’ heat cycles and health at any time from any place. 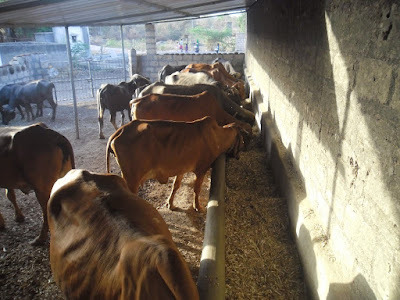 This helps farmers segregate cows to track down and analyze their individual history, prepare reports and make better decisions on herd management by monitoring their well-being all through the day. 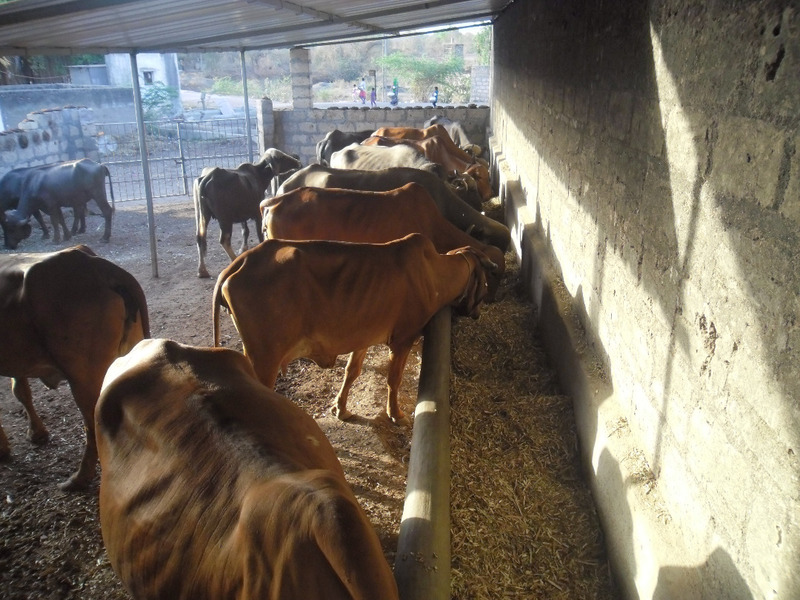 The provision of warning indicators through this system has helped farmers spot the cows having a prolonged calving or an arduous labor in the midst of the night and save them at the right time. The idea of connected cows enables farmers to be more productive, augment their operations and take better care of their herd which altogether proves crucial to the future of the dairy industry. The young farmers desire for technology solutions that could make their work easy and more profitable at the same time. They would have forgone the dairy business had the technology not been available. They want something that keeps them connected to the dairy farm even while being away. For the younger generation taking over the age-old family farms today, the accessibility to ample technology solutions has been an aid to do more in little time. The ability to monitor the cows remotely and availability of plenty of information on a smartphone has done away with the compulsion of being on the farm. The younger generation surely has an edge that the older one never had which is a great thing. The ancient ways of dairy farming required spending long-drawn, moiling hours to run a successful dairy farm, even if it meant rushing to the stables before dawn and working until nightfall. The modern dairy farming system provides insights to efficaciously monitor cows that improve milk production, simplify the calving process, and assure good health to the cows. The technology with an amalgamation of IoT has worked wonders for the dairy industry and has certainly revealed a sustainable future. Go ahead and make the best of connected cows!